A/Prof Gaff has been involved in the use of genetics and genomics in health care for almost 20 years through roles in genetic counselling, management of genetic services, health professional education, and strategic development in Australia and the UK. She has worked in public health, government, academic and not-for-profit sectors. Clara Gaff has a PhD in molecular genetics, certification in genetic counselling and postgraduate qualifications in health service research and evaluation. 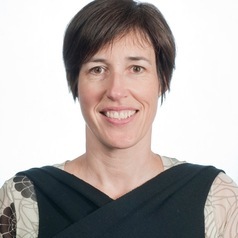 She is a member of the National Health and Medical Research Council (NHMRC) Human Genetics Advisory Committee and the Ethics and Social Issues Committee of the Human Genetics Society of Australia. She received the inaugural International Award from the National Society of Genetic Counselors (USA) for her contribution to genetic counselling internationally.